If you’re making candles in containers from home, rather than from one of our kits, you’ll need to work out what size and type of wick to use. Here’s the guide we use but it’s important to remember that these are just a guide – you need to test burn your first candle if you’re making more than one. All you do is measure the candle across the top to get its diameter in millimetres and then check for the suggested wick for the wax you’re using. Bear in mind that the wick is the same whether you’re making a pillar candle or a container candle. You can find all our waxes here. Please could you tell me what size wick you provide in your votive wicks and tabs packs? Thanks. Have been making clocks with CD Disc & wall tiles. Found I have several used candle containers (Glass) so thought why not try making my own. Have sent off for a kit so cant wait to get it & get started. What size wicks do you supply in your bulk beeswax candle kit? I ask because the candles vary a lot in width if you use a whole sheet or a diagonally cut sheet. Also, do you do a kit without bee pins and ribbon? you would like and I will happily give you a price! i am interested in making my own glass jar candles, varying in size. what type/size wick shall i use? You’ll find our Wick Size Guide useful Gemma https://www.makingyourowncandlesblog.co.uk/wick-size-guide/ Although, to make things simple for beginners to candle making, all our kits come with everything you need to make candles, including illustrated instructions 🙂 You might want to try our jam Jar kit perhaps? http://www.makingyourowncandles.co.uk/jam-jar-container-candle-kit-5-pack/ – currently with a 20% price reduction for September! everytime i try to make a candle in a glass container the wax hardens, but leaves a dip in the middle which causes the wick to only burn for a short time. How can I avoid this? Dipping occurs when the wax cools and contracts, and focuses around the wick. Depending on the type and size of candle you’re making, at least one top up pour is required to ‘level’ the candle surface. 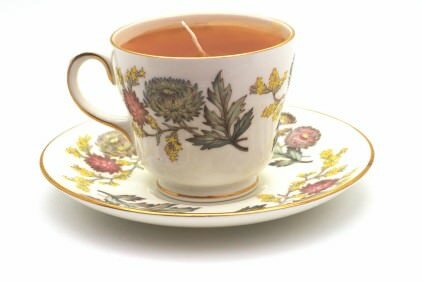 I have yet to actually make a candle but I would like to make a few out of some old bone china teacups….they are not valuable…. The problem I foresee with one is that it has a very wide top, about 115mm, tapering down to around 30mm at the foot. Could I still use it with just one wick ? It is a very pretty cup and I would like to use it but I don’t really want to have to use 2 wicks. comes with, and I will swap it out for you. Hi I have used LX30 wink in a large yankee candle but I get alot of soot after about an hour of burning should I be using a thinner candle wick if so what one? Would it be possible to add a beeswax pellet and beeswax sheet column to the very useful table above (I assume they would require different wicks but they might not)? I want to have a go at using both. Also the book is very good and hopefully will be very useful in the coming year as I hope to start building a Jewellery business. we didn’t include beeswax because it’s very expensive to use on its own. As a guide, I suggest using the Soy column and going up one wick size for beeswax, which is even harder. What type of wax are you using? And which size wick? We recommend LX10. 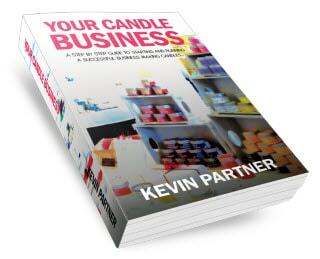 For a harder, longer burning candle you could try paraffin wax with a little beeswax added. Also, especially with eco soya wax, ensure your wax is poured at the correct temperature and slowly so that it fills the mould without any air pockets forming. what size wick does the make 20 container candle kit come supplied with? Would be useful to know thanks. Wicks are an important part of any candle, especially soy candles because the length of wick plays a factor in scent throw. Thanks for the useful post because I am certain that a lot of people can benefit from this information. Just received my latest order. Thank you. DELIGHTED as usual. Questions and comments listed helpful and informative. Hi. I have just made my first batch of candles which I have poured the paraffin wax into medium size drinking glasses. They work fine but only burn through the middle unlike ones I buy where all the wax burns. I used M220B wax. I would like a wax that burns without having to waste any please. Thanks. Hi I’m trying to make a dinner candle that pies down the side. What size wick would u use with soya blend pillar wax? What wick should I use for a small 4″ christmas tree candle which tapers down from nothing to 2″ diameter at the base. Its made with paraffin wax. Hi i’m using wicks that are 20cm long and 2mm wide. The container I’ve used is approx 75cm in diameter. I’mean also using soy wax. I don’t think the wicks are right but I don’t know if they are too big or too small. The wax isn’t melting all the way out and is tunnelling suggesting it’s too small, but the flame is flickering a lot and the wick is folding over slightly slightly suggesting it’s too big. Would you be able to advise me on this please? Can you tell me if you can use LX wicks in soya candles. Someone on a candle making site said you can’t.. but I can’t seem to find anything on the internet to suggest this.